Beaujolais is with Anjou (and the Loire at large) the most dynamic French wine region on the artisan-wine scene, and it has probably a lot to do with fact that the few winegrowers who initiated the natural wine culture with the guidance of Jules Chauvet (Breton, Lapierre, Foillard and Metras) were based in this region. This area turned around from a wine region in disarray and emerged as one of the most looked-after for the genuine wine amateurs of the world (those who care more about what's in the botttle than about the prestigious appellations or estates), even though the vast majority of growers remain conventional and didn't really change their viticulture/winemaking practices. Like in most wine regions, young vignerons keep popping up, people who follow the same hard-work philosophy in the vineyard with minimum intervention in the cellar, and certainly no additives except minimal sulfur (if any). Remi Dufaître is one of them, I met him a couple years ago in a Paris tasting (Les Beaux Macs) and liked particularly one of his wines, L'Air de rien 2011, a carbonic maceration of gamay, devoid of any SO2, an unfiltered wine that was a pleasure to swallow. I heard later several praising comments on his work by people I trust, including by France Gonzalvez (I happened to stumble on Remi at her place when I visited her). Remi Dufaitre initially worked with growers and wineries here and there and he met his future wife Laurence during a harvest as she had come to take part to the picking (she was an Art student in the south of France then). Then he had a training at the domaine of Jean-Louis Dutraive, his cousin who is also the first domaine of Fleurie (Beaujolais) to turn organic. Then he had the opportunity to take over a domaine in 2003, the Domaine de Botheland on the outskirts of Saint-Etienne-des-Oullières with vineyards that were partly contracted with the local coopérative, so they began to work like that, selling part of their production to the négoce and the rest of the grapes to the coop (a contract tying a coop with a vineyards and signed by a grower/owner has to be implemented until the end of its term, and ties the successive owners if the vineyard changes hands). 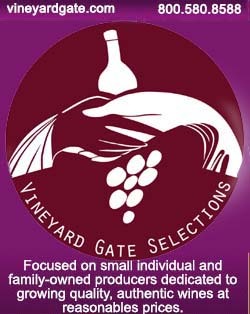 For the part of the vineyard contracted with ther coop he had to wait 5 years before he could vinify the grapes himself. Cement fermenters In 2008 whe he could work the vineyard for himself (and not for the coop) he converted them to the organic farming. Before that when he was obliged to sell the gapes at the coopérative there was no incentive to work organicly, the grapes were purchased at the same price with no difference if the vineyard was plowed and organic, so he waited to get free of the contract to conveert the surface. When he puechased this domaine the total vineyard surface was 16 hectares, all farmed conventionally (tout en chimie he says) and he also buyed a few parcels more, he recovered some contracted surface, he let down other parcels that were less interesting. He also got an organic parce from Jean-Louis Dutraive as well as one from Jean-Claude Lapalu. His first vintage with natural wine from organic grapes was 2010, in 2010 he stopped using lab yeast and SO2, no chaptalization nothing. In his early years, Remi was quickly spotted by Jean Foillard who has his winery some 15 minutes away from here in Villié-Morgon, they now see each other almost every day, he says. His total working surface didn't move since 2011, it makes about 11 hectares, and from that time he has been selling all his production in bottles, but 2012 & 2013 were low-yield years (20 ho/ha). This year (2014) should be a bit over, 30 or 35 ho/ha, still well below the average Beaujolais yield of 52 ho/ha. This year in 2014 he'll make probably from 350 to 450 hectoliters from his 11 hectares. To do all the vineyard/winery work they're three people, himself, his wife Laurence who also works full time and a worker, plius he hires temporary workers (saisonniers) to do certain vineyard tasks, An old parcel of low-lying gamay Remi Dufaitre has many old vines and he says that the problem when you farm organic and plow between the rows, it is that with the tractor and the plow you now-and-then damage a vine or accidently uproot a vine and that you end up with a few losses just because you take care of the soil, which brings the yields even lower. He aknowledges that he has a few missing vines to replant, and certain parcels have to be replanted totally (after an eventual uprooting). His surface is 100 % gamay plus one hectare of chardonnay. He also planted this year (2014) a half-hectare surface with both cinsault and grenache, an experiment he wanted to try. He'll possibly make a light rosé, a thirst wine with 11,5 % alcohol or something like that. Initially he was looking for a Brouilly to do something different and he had resorted to make this try (Jean-Claude Chanudet later found him the right rootstocks and vines for his brouilly, from what I understand). Asked about the weather in 2014, Remi Dufaitre says that the year began very well with a dry spring and healthy vines with nice plowings, but things turned sour in june and july with lots of rain and cool weather, which didn't do that bad on the future grapes, just that grass was growing too much and they couldn't try to bring the tractor because the ground was too wet and damp. August was rather correct after the first 10 days and they managed to do some plowings to get rid of the weeds but at the end of august they prefered to stop plowing because the tractor could damage the grapes if it touched the rows and vines, and they ended up using a wire trimmer for the remaining grass. Speaking of the sprayings he says this year he sprayed 78 times (only copper/sulfure as he farms organic) while last year he remembers having sprayed 10 times. On the disease front things were quite good in 2014, the grapes were healthy even if the yields were low. Divine gamay juice straight from the vat Remi Dufaitre has his wines in the AOC Beaujolais Villages, Brouilly and Côte de Brouilly, asked about the problems to pass the appellation check he shrugs off the problems, saying that there are always a few problems but in the end they get it, and he adds that it's good to remain in the appellation, it's too easy to make all the wines labelled as table wine like every one does now, of course he'd sell his wine as easily with the table-wine label but it is good to keep the appellation and sort of show the colors of the region and appellation. Plus, he says that natural wines nowadays are not as weird as a few years ago, the vintners master their art better and you don't find the faults, the volatile you used to find in many wines, now natural wines behave better. The administrative checks consider two level in the faults, he says, the minor (mineur) and the major (majeur) type, and although natural wines including his are often categorized as "major fault", this is not prohibitive, meaning that they can still sell the wine, they will just get a warning and may have a subsequent administrative check in the cellar in the following months as a result. Remi grabs glasses and fills them with wine from a tap on a vat, this is the first pressed juice of the year, a vivid-red gamay with milky shades. Fruit forward, the fermentation is already well engaged, tastes like a bernache that passed it's sugary stage, still fermenting. The horizontal press is a Vaslin Veritas 32, also an old-time press frrom maybe the 1970s' or early 1980s' I'd say. Forklift and fermenters The vinification : carbonic maceration of whole-clustered grapes in simple cement vats, the ones that were already in the winery when he took it over, that's a very good tool he says, these ones have no lining inside, it's plain cement. He has 8 of these cements vats in the winery, they date from the 1950s', each with a volume of 72 hectoliters. Like Jean Foillard (see this story), Remi uses a forklift to fill the fermenters : no conveyor belts or any other intermediary procedure between the boxes arriving at the chai and the fermenters, this avoids the unnecessary trituration or outside damage on the grape skins, which helps make a better carbonic maceration. These details count, he says. This is the first year he works with the forklift (last year he was still using a conveyor belt) and he already sees the difference : there's much less juice in the vats and the grapes look really more intact. Of course he doesn't put sulfur on the incoming grapes (he never did that). He says they put a bit of CO2 at the beginning, they try not to do any pumping over, if they by accident get some acetate they moisten a bit the cap with a bucket of juice. This year all the fermentation started quite quickly, it's working at its pace. He has some analysis made at a lab to check if there is any volatile. the next step is the pressing, part of the juice will go into oak and the rest in cement vats. The whites were pressed directly and the juice went into a cement vat. This year he'll take 10 casks from Pascal Clairet in the Jura, he also buys old casks to Fred Cossard. He says that gamay being a lighter wine it's better to use old barrels, that's why he buys casks with already a few years. Fred Cossard works with very good casks and he likes buying from him. All the wines are bottled unfiltered, and regarding the SO2 he let himself the possibility to add a bit of SO2 at bottling even if generally he doesn't. The primeurs are the ones you can be sure there will never be any SO2 because they're made for a quick consumption. If he decided on a particular cuvée to add SO2 it'd be 1 gram per hectoliter, so to say, nothing. In the conventional wineries sulfur is usually added on the incoming grapes, after thev 1st fermentation, then again after the racking, then after the racking, and again at the filtration and a last shot at bottling... this makes 5 additions of SO2 at the dosage of 2 grams/hectoliter, this is a lot, the motive being security and the will to make a linear wine that expresses itself the same way year after year. Testing the juice At one point Laurence joins and they both check the density of the juice. Laurence is also doing her job as winemaker but I forgot to ask them if there were confilcts sometimes on the job direction. While checking this fermenting juice She says she smells something strange and they decide to have a lab check made on this juice, the lab is not far, it's in the village, very practical. Remi and Laurence have three children if I remember and they were playing outside in front of the chai and the house while we were looking at the facility, Laurence finds the time to take care of them and do her job in the winery. Atop a carbonic-maceration fermenter Remi climbs atop a cement fermenter to show me the grape load, these grapes have been there 9 or 10 days and the ones at the top are basically still intact visually, like if they had just been picked. The real carbonic maceration has the fermentation unfold inside the intact grape, that's why it's important that the clusters stay in very good conditions with no damages to the skin because the juice could then bleed and spoil the carbonic maceration. You can see on the picture below the intact load of grapes in this cement fermenter. You can see from the stain on the wall that the mass of grapes has compacted a bit in 10 days, but the whole-clustered grapes still look pretty intact and uncrushed. Remi says that even if you dig a bit with the hand and grab take some grapes underneath, they're also in very good conditions. These old-time cement fermenters are indeed very practical in the sense that the lid is large enough to access the inside or do whatever job you need to do on the grapes. The mass of intact grapes Remi says that time has not come yet for the pressing. The temperature in the vat is very moderate, he says that the average has been 21 ° C (70 ° F) since the carbonic maceration started. They bring the grapes under cool temperatures due to cold mornings and if not he can use an air-conditioned room to further cool down the grapes a few hours before putting them in the cement fermenters. Speaking of his work philosophy, all the grapes are hand picked, this year he had 23 pickers plus the guys carrying the grape crates/buckets, they all sleep at a farm where he has dormitories and showers for them, this is much more comfortable than what many growers offer : just a prairie to plant their tents or park their camping van and no food. I shot the picture on the right just outside the village where Reli and Laurence have their family winery, and you see people camping more or less everywhere in the area, some coming from eastern Europe to make some quick money through several weeks of hard work. The harvest lasted 9 days in all this year. Remi says that this year the picking team was pretty international, there was an American guy sent by his importer Jenny & François, plus several Japanese, and Mr Ito (the importer for Japan) with all his staff. At one point i asked him if he takes part to some group tastings, he says yes among them la Beaujoloise, the iconic natural-wine gathering initiated by Marcel Lapierre some 10 years ago. You might find Remi in the group portrait in the linked page among the several dozens of winemakers. His first Beaujoloise was in 2010 or 2011, he says. I saw later on the Internet that Remi also takes part to Vinicircus, one of the top natural-wine fairs which takes place in Brittany (I never attended alas). I shot the picture on left while leaving the winery on the other side of the village, the signs warns of danger because of harvest activity, not because of drunk tractor drivers pulling gondolas but just slow traffic and tractors coming out of the vineyards onto the winding roads. The surface cellar We walk into the surface cellar with more cement vats in addition to the 8 on the main room in the chai. These 8 other vats are not fermenters, they're either for élevage or for the intermediary before or after the barrel stage. Some wines may have their élevage in these vats, it depênds of the cuvée. Right now there's white (chardonnay) in one of these, the wine is waiting for the barrels he is going to buy soon from Pascal Clairet in the Jura. Anyway the white can stay a long time in the cellar : last year his whites took one full year to ferment and he bottleed them a month before this visit took place. The whites of 2014 seem to ferment more swiftly, so it could last less in the barrels. We have alook on the barrels, some of them being demi-muids (500 liter), he bought some of them also to Marcel Richaud in the southern Rhône. Old Gamay vines To have a glimpse on the vineyards, most being pretty old, we just have to walk a few steps from the chai and the house, it's all out there, the other parcels are in Saint-Etienne-la-Varenne (the next village) very close from here. Near the house we see first a parcel of Chardonnay (picture on right). The soil here is very sandy, it's unusual to have chardonnay on sand, Remi says, it's usually on clay and limestone with a firmer soil for more yields but he isn't looking for that, he planted these vines 7 years ago. Just along the chardonnay we walk through an old parcel without any trellising, the vines in goblet are standing on their own the old way. They don't look that old, they're not thick and big but tey're still about 90, and you feel it somehow beyond their modest proportions, nice elders... One of the reasons they're pretty small and thin for their old age is that the soil is shallow on this parcel, plus it's sand, it's not particularly rich. This is the very parcel from which Remi makes his cuvée L'Air de Rien, a particularly tasty gamay which goes through a one-year élevage in casks and 500-liter barrels (demi-muids). Asked if it's not too hard for the pickers to work in such a parcel (it looks so low ! ), Remi says no because you see all the grapes with one glance, it's actually simpler to pick in this configutation, the goblet is wide open from above. This parcel is the first one that he purchased, it was not included in the winery surface initially, buying back parcels here and there because of their inherent quality and along the opportunities that calme his way. A Bénéthulière tractor While walking back from the parcel near the chai we passed one of those incredible local treactors that no region other than Beaujolais has ever produced : a bénéthullière, short-named Béné, these vehicules are very different from anything I have seen in other regions, like if this region had lived isolated from the rest of the wine world for ages. Remi Dufaitre had put at its back the "cake" from the pressed grapes/clusters (it's requisitioned by the state which will use it to make alcohol, which amounts to another tax on wineries...). These vehicules are really multi-purpose, all-terrain farm vehicules with no equivalent in the modern tools. I remember the one of Julie Balagny (see the pictures in this story), it was very well designed for its age, it was at the same time a flatbed pick-up truck for the harvest or other transportation, and it had a motorized winch mounted underneath so that it could park along a steep parcel and pull up a motor-powered cable plow, a sum of properly-amazing inventiveness in the service of artisan growers back in the 1950s' and 1960s', and I can't understand why these vehicules were discontinued, they're light, easy to maintain and particularly adapted for the narrow and steep parcels all over the world, and they were probably quite cheap. They're like the citroën 2CV, you see them on the roads and in the vineyard, and I came across several of them during this short trip, and they weren't used for the hype, their owners were common-sense growers who saw them as a reliant tool needing little maintenance. Remi brought a few bottles to sample his cuvées. He makes a white, a Beaujolais Villages, L'Air de rien, Brouilly, Côte de Brouilly, plus a pet'nat (a try he has been experimenting with since last year). __ Laurence & Rémi Dufaitre, Beaujolais Villages "le Blanc" 2013. Chardonnay. This wine fermented a whole year which was unusual, usually he can bottle the whites between january and march when the fermentation unfolds swiftly, but here it lasted much more time, which yields more richness and roundness in the mouthfeel. Makes 12,5 % or 13 %. the fermentation stalled during the winter and started anew but at a low pace when the sun began to heat again. It was made mostly in barrels (70 /) with a vit of vat because he lacked barrels for the whole. The yields were at about 10 hectoliters/hectare last year, so this wine is coming a long way when you count the longer-than-usual fermentation. It certainly reflects this seriousness, there's a particular density in this chardonnay, a nice rich feel and a sizeable power that gets swallowed easily. Few vignerons make white Beaujolais including in the natural group, so this wine is quite rare. This wine is unfiltered and got 1 gram SO2 at bottling. It is dry (residual sugar 2,4). Of course the wine had its malolactic (nature wines always get their malolactic because of the lack of SO2). Asked what the sandy soils brings into this wine, he says that there's a floral and saline touch that might unsettle certain people (some people prefer the drier style of chardonnay he had last year for example). In june he had racked the wine at the best moon stage thinking that it would be OK to bottle it the following moon window but no, it needed more time. The fact that the racking vat could get sun beams if he opened the doors (this was in june) didn't quicken the thing, the wine wanted more time. He ended up bottling it at the august moon. Beaujolais Brouilly 2013 __ Laurence & Remi Dufaitre, Beaujolais Brouilly 2013, the gamay. Heavier bottles, this wine is serious stuff. Average age of the vines : 60. Remi says that he puts few informations on the label, the truth is in the glass he says, he doesn't feel the need to tell it's made from organic grapes, indigenous yeast, that it is unfiltered, unfined and low SO2 (this cuvée got 1 gram at bottling). there's a bit of reduction here he says but it opens pretty fast after that, he says it's a thirst wine, a feminine wine. He says people often tell him that his winemaking touch brings a feminine style in his wines, they're fresh and light, he adds that he likes wines with a forward acidity and with tension. This Brouilly has a nice tannic touch in the mouth, a light astringency that coats delicately the side of the mouth. This Brouilly was bottled last april. It's almost sold out now, same for the chardonnay. At that part of the visit I asked him about the training he followed, he says that you're not obliged to get a training to make wine but he had one in a village nearby, although he relativizes the value of what he learned. What really counted for his real training is the expertise and exchange with fellow winemakers of the region like Jean [Foillard], Jean-Claude [Lapalu] or Yvon [Metras]. When Foillard called him by the phone one day a couple years ago, he told Remi that he didn't know him yet but that he had tasted his wines and he liked them, they were among the ones he prefered in the young generation, he also was wondering why they weren't more well known around. Since then they see each other regularly, go to Paris together to deliver their wines and things like that. L'Air de Rien 2013 __ Laurence & Remi Dufaitre,L'Air de rien 2013, bottled a month ago. The oldest vines here (90 years). Very beautiful wine, another dimension, it tells you a story while you swallow. I'm sure the fact that there isn't any added SO2 counts a lot, but the old vines with their low yields too as well as the terroir I guess... Here is a wine that was bottled almost yesterday (a month is nothing) and you get this terrific drinking experience already, although probably just a hint of what you'll get after a year or two... THe length is also much longer here, plus there's a breath in the wine, like if it had had a healing exchange with oxygen which made it spoil-proof now. Very delicate end of the mouth. Looks quite low in alcohol, the label reads 13 % though. Remi Dufaitre exports 40 % of his wine, first to the United States (Jenny & François), Japan (Oenoconnexion), Denmark (Lieu Dit), Sweden, Norway, Belgium, Holland, Canada (Quebec, Oenopole). Any chance of some more information on the PetNat, it sounds very interesting. I've sampled the Chardonnay superb exactly as described above. Also enjoyed the Premices Beaujolais Village.